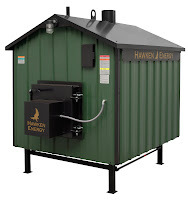 Outdoor Wood Furnaces: It's Time to Switch to Renewable Fuels and Heat Sources Like Outdoor Wood Furnaces. It's Time to Switch to Renewable Fuels and Heat Sources Like Outdoor Wood Furnaces. Click here for more information about Peak Oil.